The plant is cultivated in tropical, subtropical and temperate regions where the edible green pods are valued for culinary purposes. The versatile food can be eaten raw, cooked, or pickled. Known for its mucilage, okra has a slimy texture when the pods are cooked because of the soluble fiber present, which could contain health benefits. Okra, also known as okro, ochro, and ladies’ fingers, is a green flowering plant belonging to the mallow family, which includes cotton, cacao, and durian. The plant is cultivated in tropical, subtropical and temperate regions where the edible green pods are valued for culinary purposes. The versatile food can be eaten raw, cooked, or pickled. Known for its mucilage, okra has a slimy texture when the pods are cooked because of the soluble fiber present, which could contain health benefits. Okra contains many other health benefits fits that can help fight countries battling malnutrition and food insecurity. Here are the 7 health benefits of okra. 1. Okra could help you maintain a healthy weight. The thick substance in okra is soluble fiber that can help you manage your weight. Soluble fiber can help you feel full for longer periods without adding calories to your diet. One hundred grams of raw okra could contain 3.2 grams of dietary fiber, which could be helpful to diets like Western diets that lack a fiber-rich diet. 2. Okra may help you manage your type 2 diabetes. Because soluble fiber is not digested by your body, it helps maintain blood sugar level spikes that can put people at risk for type 2 diabetes. Also, a 2016 review published in the Iran Journal of Medical Science suggested that okra extract has a hypoglycemic effect that can help lower blood sugar levels. 3. Okra could help prevent kidney disease. A study published in the Jilin Medical Journal investigated the clinical effects of a diet rich in okra and diabetic nephropathy. Researchers found that diabetic patients who at okra daily with a diabetic diet for 60 days had reduced signed of kidney damage than those eating just a diabetic diet. 4. Okra can help battle cancer. Although, conventional physician-approved treatment is still necessary, adding okra to your diet could pose as supplemental help to fight cancer. Leptin is a type of protein found in okra that can help treat human cancer cells. A 2014 study suggested that okra promoted antitumor effects in breast cancer cells by reducing cancer cells growth by 63 percent and killing 72 percent of the cancer cells. 5. 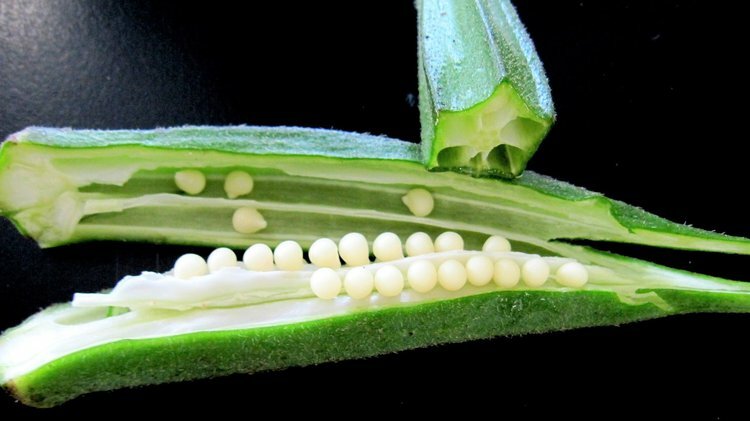 Okra can help prenatal babies and newborns. Okra is a rich source of folate, which is essential for a baby’s development of the nervous system. Neural tube defects and spina bifida risks are significantly reduced when the mother consumes enough folate in her diet. One hundred grams of okra contains 15 percent of the daily recommendation of folate, according to the United States Department of Agriculture. 6. Okra could help battle weak, brittle bones. Okra is a formidable source of vitamin K. Vitamin K helps your body control the binging of calcium in bones. A vitamin K deficiency may lead to osteoporosis and promote the calcification of arteries and other soft tissues. 7. Okra could help stabilize your cholesterol levels. A 2013 study has found that okra has hypolipidemic activity. This means that okra could help inhibit the production of body fat and promote cholesterol degradation. Decreasing cholesterol levels in the blood can help prevent clogging of the arteries and fight heart disease. Khatun, H., Rahman, A., Biswas, M., & Islam, A. U. (2011). Water-soluble fraction of Abelmoschus esculentus L Interacts with glucose and metformin hydrochloride and alters their absorption kinetics after coadministration in rats. ISRN pharmaceutics, 2011. LIU, K. H., WANG, L., & ZHANG, Y. (2005). The clinical research of Okra in treatment of diabetic nephropathy [J]. Jilin Medical Journal, 10, 009. Khosrozadeh, M., Heydari, N., & Abootalebi, M. (2016). The Effect of Abelmoschus Esculentus on Blood Levels of Glucose in Diabetes Mellitus. Iranian journal of medical sciences, 41(3), S63. Monte, L. G., Santi-Gadelha, T., Reis, L. B., Braganhol, E., Prietsch, R. F., Dellagostin, O. A., ... & Pinto, L. S. (2014). Lectin of Abelmoschus esculentus (okra) promotes selective antitumor effects in human breast cancer cells. Biotechnology letters, 36(3), 461-469. Higdon, J. (2008). Vitamin A. Micronutrient Information Center. Linus Pauling Institute, Oregon State University. Wang, H., Chen, G., Ren, D., & Yang, S. T. (2014). Hypolipidemic activity of okra is mediated through inhibition of lipogenesis and upregulation of cholesterol degradation. Phytotherapy Research, 28(2), 268-273.